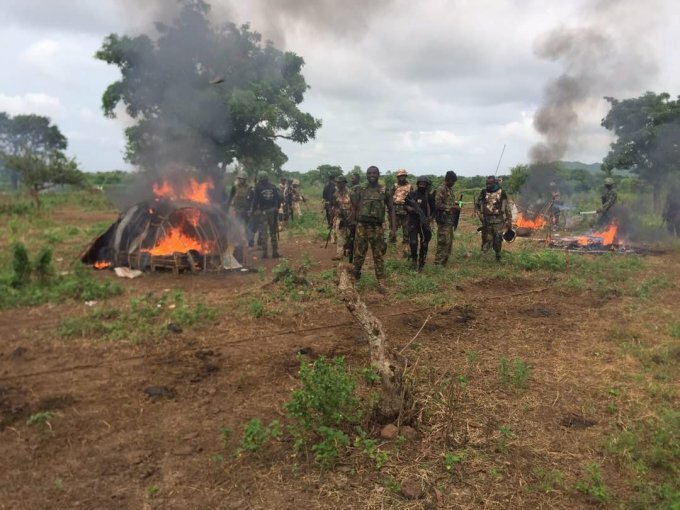 Soldiers encountered alleged armed herdsmen along the Gbajimba-Akor axis in Guma Local Government Area of Benue State and razed their camp. Items recovered included; one AK 47 rifle, two AK 47 rifle magazines, 60 rounds of 7.62 mm special ammunition and five motorcycles. Chukwu went on to encourage members of the public to report suspicious movements or activities in their area to the law enforcement agents for prompt action.